Orient Electric, part of the USD 1.8 billion CK Birla group, today launched an integrated advertising campaign to promote Aeroslim, India’s first smart ceiling fan. The Aeroslim fan is IoT-enabled and can be controlled via Orient Smart mobile app or by using voice commands via Alexa or Google Assistant. It is also India’s first Inverter fan which ensures 40% energy savings in comparison to ordinary fans. The new TVC features Orient's long-standing brand ambassador MS Dhoni and it follows the theme of turning your world upside down with the Aeroslim fan which flaunts a unique slim cylindrical design, aerodynamic blades, telescopically adjustable mounting, integrated under light and PU paint with superior Hydrographic finish & unique power saving Inverter technology. The TVC starts with a bunch of people fixing furniture, couch, carpet, bookshelf, wall hanging etc., on the ceiling of a house. 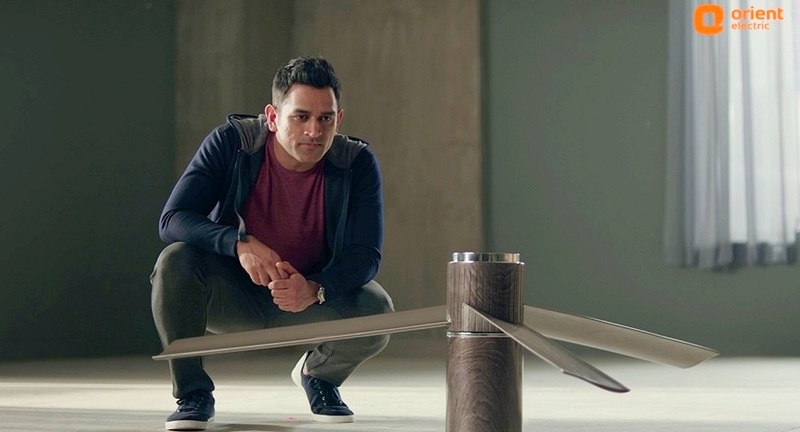 The next frame shows MS Dhoni’s entry in an upside-down room with Orient Electric’s Aeroslim fan fixed on the ground followed by the key message – “Aeroslim, worth turning the world upside down”. The TVC also shows MS Dhoni controlling the fan through Orient Smart mobile app.